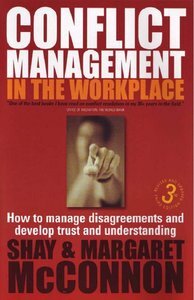 This is a work by two psychologlists on how to establish trust and harmony in the workplace. The authors analyse the four main personality types and how these come into conflict ... Readable and accessible. Shay and Margaret McConnon are co-founders of People First, an international training and consultancy group that runs courses on 'Winning Relationships in the Workplace'. They work with leading companies in Europe and the USA.